Does Ello have what it takes to be the anti-Facebook? Fear of missing out is attracting users to invite-only social network Ello. In the past week, social network Ello gained much more traction than even its seven founders anticipated. 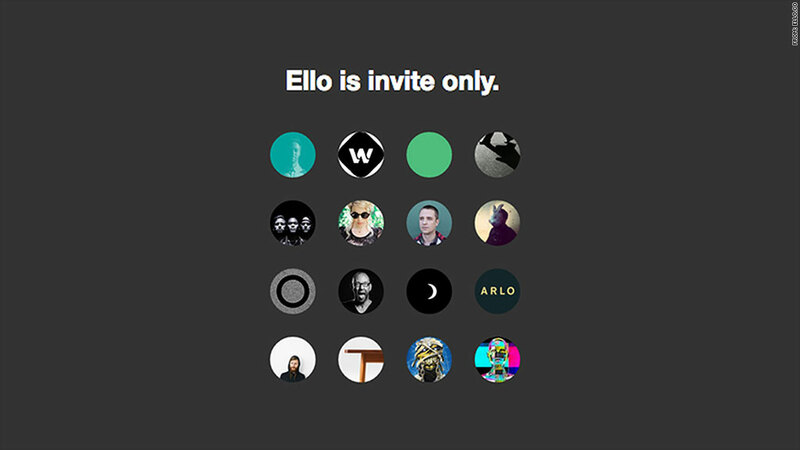 Ello co-founder Paul Budnitz said requests and approvals for access to the invite-only service were totaling 40,000 per hour. The LGBT community is embracing the site after being kicked off Facebook due to its "real" name policy. That, along with the promise of no advertising, are the reasons why some are calling it the "anti-Facebook." But maintaining relevancy in a crowded social networking market won't be easy. A cyberattack that prevented users from accessing the site over the weekend is the least of Ello's problems. It has to appeal to the vast majority -- not just a few loud dissenters. History is not on Ello's side. Startup App.net, a platform for accessing many social applications on one network, kicked off in 2012 with a manifesto (much like Ello's). App.net founder Dalton Caldwell criticized Twitter (the service it considered itself to be an alternative to) for its ad-supported model. Dalton said Twitter users were the "product" -- the same basis for Ello's critique of Facebook. It's really just the "vocal few" that take issues with Facebook's design or access to user data, according to Brian Solis, principal analyst at Altimeter Group. Feeling like a "product" isn't a universally felt complaint. If a business model isn't broken, can it be fixed? Unlike Facebook, which makes 90% of its money from advertisements, Ello doesn't sell ads. It plans on making money with a "freemium" model -- users can purchase special features to customize their Ello experience. Budnitz lashed out at critics, saying it's "so sad" that people won't give Ello's business model a chance. But free and "ad-free" don't really mix. App.net, which tried that combination, announced in March that it is no longer profitable enough to employ any staff. FOMO is attracting users to the site -- but what will keep them there? Ello is being flooded with invite requests, largely because it is in the news, and people have a fear of missing out (FOMO). But FOMO isn't enough to keep users on the site. "As much as we love to hate [Facebook], they've done a really good job on focusing attention," said Solis. "The time spent on Facebook is unheard of -- and its not a fluke." It's unclear why users will need to spend time on Ello, Solis said. To Budnitz' credit, the product is still very much in development -- and his ambitions aren't as high as you'd think. "We are, in fact, a five week old beta," he said. "It's being developed live in front of everyone's eyes." The Facebook comparisons are "flattering," Budnitz said, but Ello is "not trying to take over the world." Still, user frustrations, like a buggy-search feature (Budnitz said they've experienced some glitches with this search functionality last week), can have a resounding impact. "You get one shot at it," said Solis. "If that network is open for beta, then it better be open for scale."